Yes, today was a great bird op day without trying! To have a few of my favorites all in one day was absolutely fantastic! The 90-100 degree weather finally broke, for a couple days at least, with today’s temperatures in the low-mid 80’s. The blue in the skies and water was brighter without that heavy heat haze. 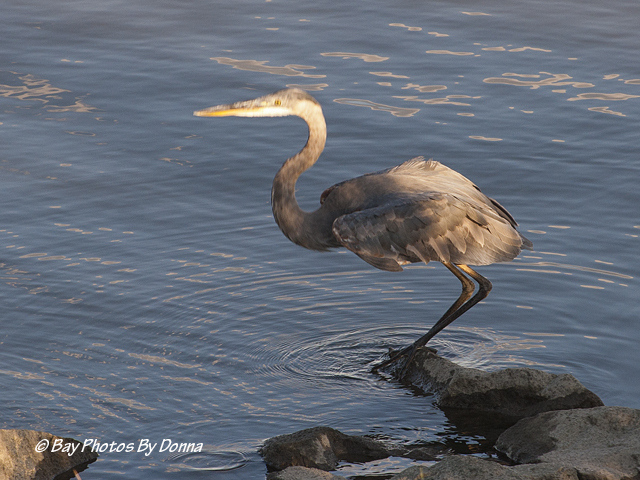 And both this morning and this evening, the birds were in abundance, taking advantage of the cooler weather. 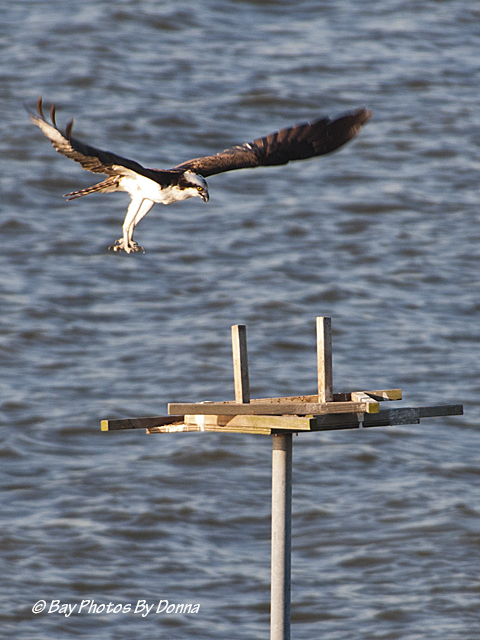 This morning at sunrise, I enjoyed watching and photographing two osprey flying around our platform. I couldn’t tell for sure if they were ‘together’ or from different other pairs, but it seemed they were playing with who had platform possession. One would land, the other would try but the first wouldn’t let him, then the second would make the first leave, and on and on. 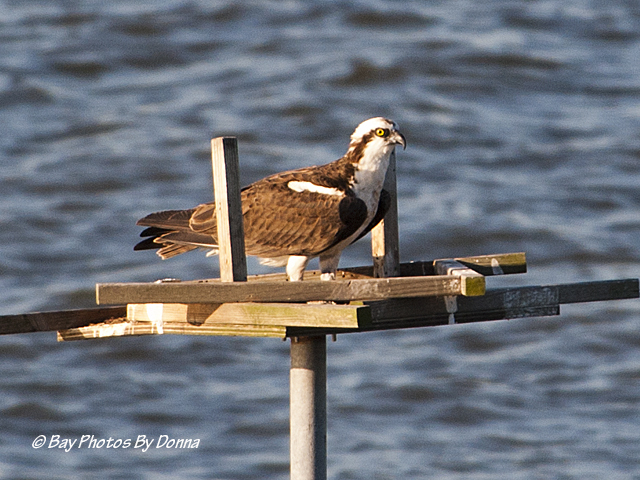 I’ve seen this happen two other mornings in last couple weeks and have been wondering if we finally have a new pair of osprey who might be checking out our platform as a future home. Time will tell, but in the meantime here’s my favorites from this morning. 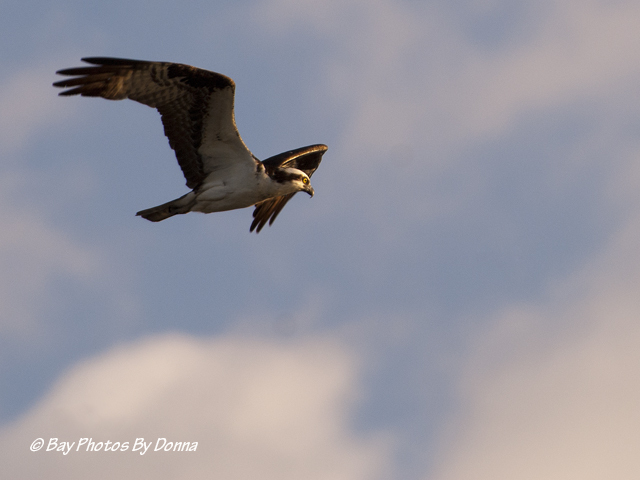 The osprey caused me to be late to work! 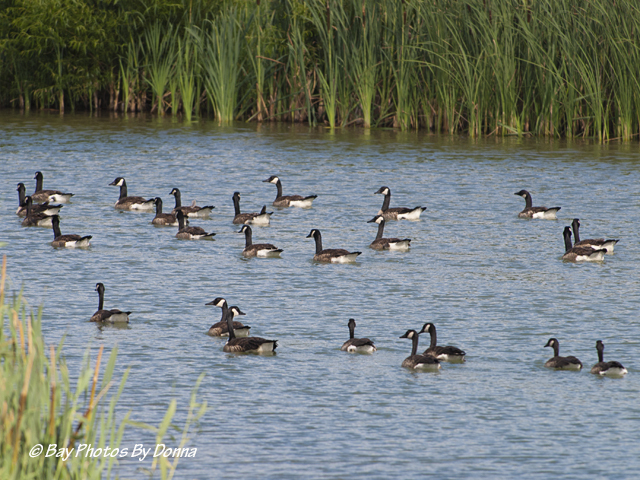 🙂 As I made my way home late this afternoon, I passed Walmart Pond and found Canada Geese enjoying a restful moment. Being so late in the season to see so many together in our area, I stopped for a couple shots. Even at a distance, they were leery of me. I quickly finished and left. 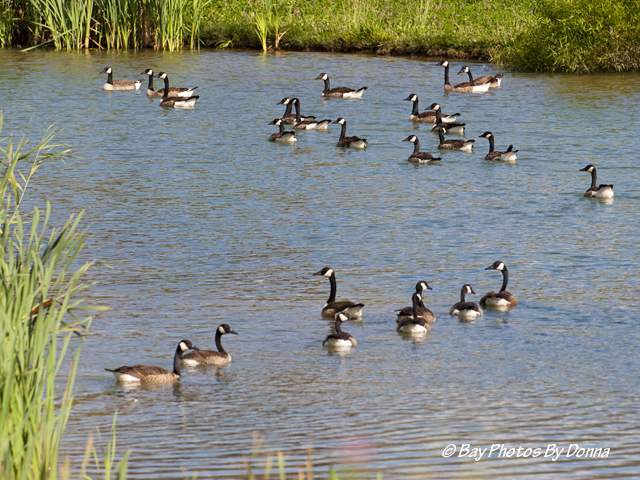 I was thrilled to see the geese, I thought about how neat and unusual it was as I made my way home. 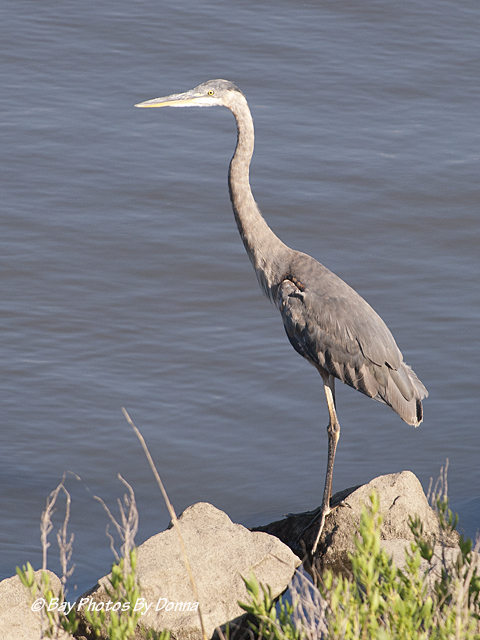 I got home and took a quick glance from my balcony…..a Great Blue Heron was along our berm. Splendid! And then he/she calmed down and stretched that long neck and body in protective stance as a couple community walkers passed on by. As he kept still, thinking no one could see him, lol, I had also been photographing a Green Heron a little further away, also on the berm. Another pair of walkers came by. 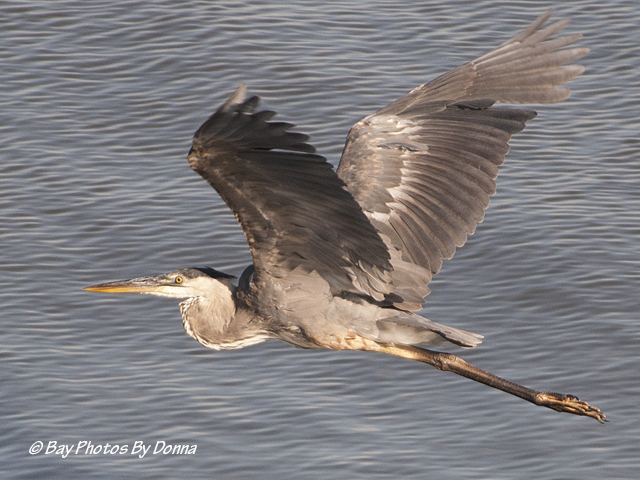 This time the Great Blue Heron decided it was time to take flight as well and away he went. This alarmed the Green Heron who took off too. 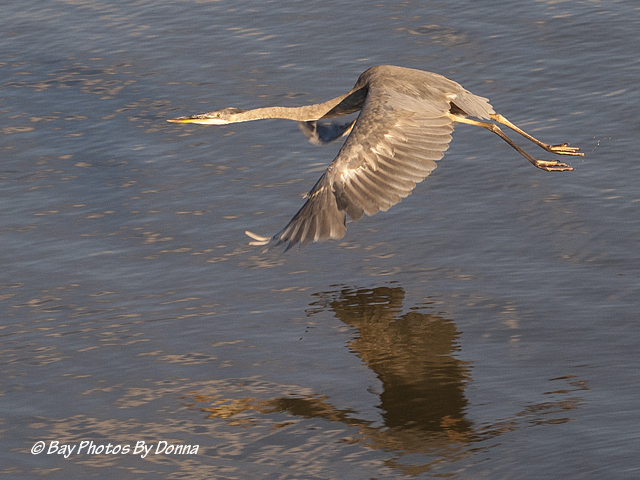 I retreated inside, thinking how lucky to see both herons tonight! I couldn’t wait to download my photos. But dishes first, some cleaning up. An hour later I was ready to pop out my memory card and download today’s photos but first thought I’d quickly step out on my balcony. Just in case. Woohoo! 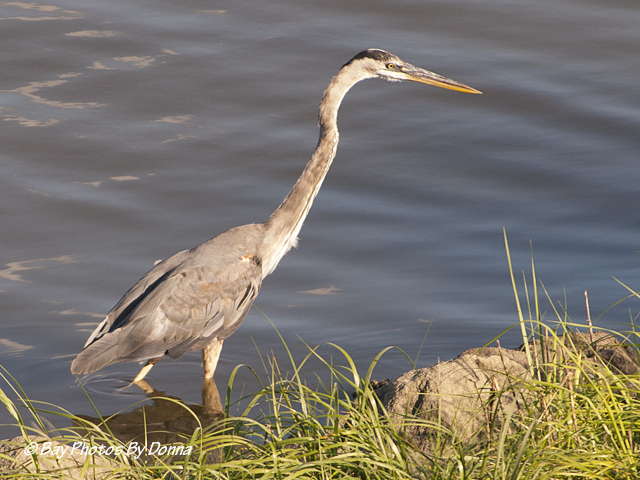 I found a Great Blue Heron on the berm again. 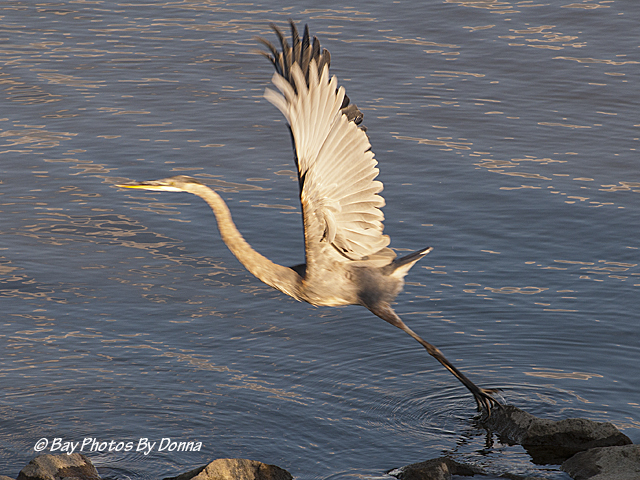 I took a couple shots and then prepared to capture his take-off as a couple more walkers were about to pass by him (it was an awesome night for a walk around the water!). 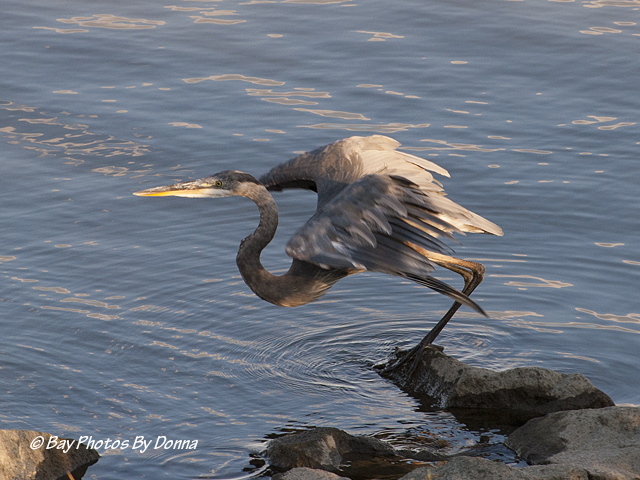 Here’s a GBH in step by step launch! 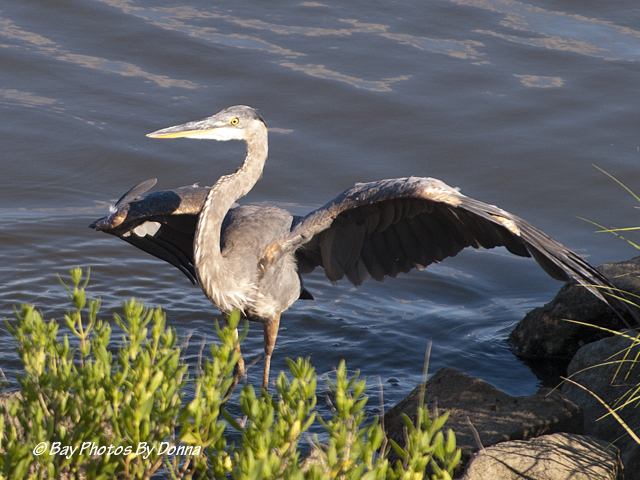 Great Blue Heron preparing to take off. It takes a lot of strength to get the big body in the air! And then he was gone. Flying in to replace him, a Green Heron. 🙂 With the sun setting, he was in the shade of the marshy grasses. And then he began his ‘jumping’ from rock to rock, and made his way into the sunlight….for me! Right??!! 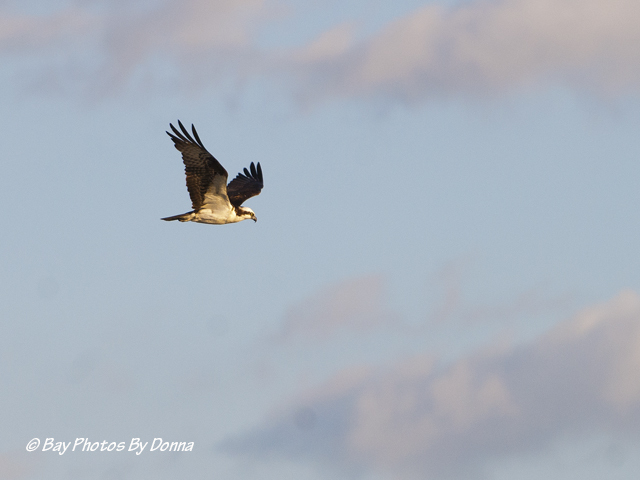 As I completed his photos, an osprey flew by and I captured him with some cloud action as he soared towards the sunset. Indeed, a great bird op day without trying! As always, I hope you enjoyed and thanks for stopping by! I may have a few days when I shoot that many species of birds, but I never get the quality of photos that you do on a regular basis, I am in awe! 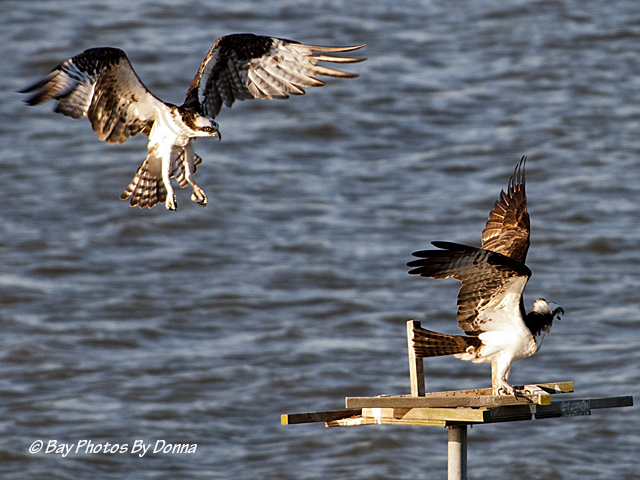 Thanks Jerry, I’m always in awe of the wide variety of birds and wildlife you have in your ‘backyard’, it’s really a joy that we get to watch their behavior and snap so many captures so close to home. You better find the new one close to another cool backyard for sure! 🙂 Although I do take more photos hand-held, I did take most of this posts’ photos using my tripod so that definitely helped me! Fantastic pictures. A treat to go through them, thank you. “Without trying” only because you know where to look and what to watch for. Great shots! Thanks for sharing. Bonanza of birds, LOL HJ. It sure is a great area, at least come for a vacation some day, I’ll help with info when you’re ready! Re the high humidity, we just had two days of reprieve, the weather was gorgeous, but tomorrow, it’s starting it’s comeback here, yuk. Appreciate you thinking of your bird buddies in all that humidity, and I know they appreciate you too! What a wonderful day for you – and what fun for me! 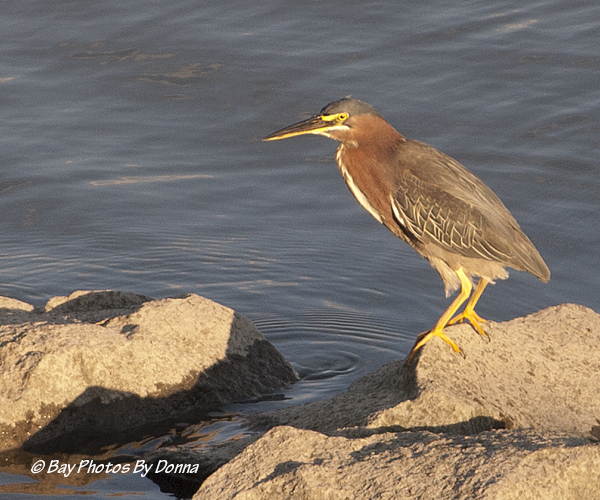 The GBH series was fantastic and the Green Heron was so helpful; must have wanted us to see that beauty. 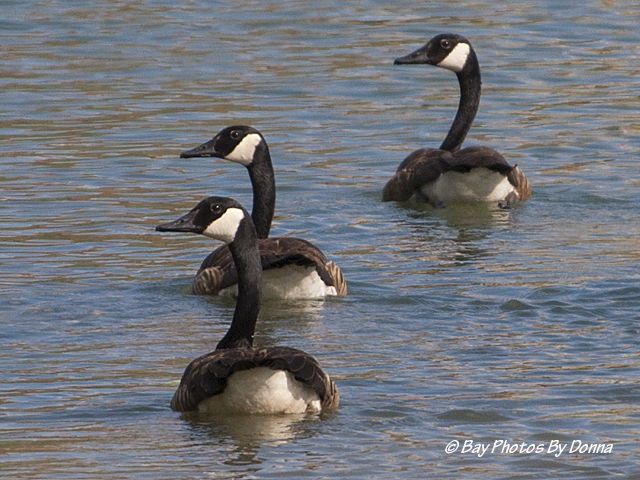 So nice that the geese and osprey cooperated, also. Thanks for sharing such joy, Donna! 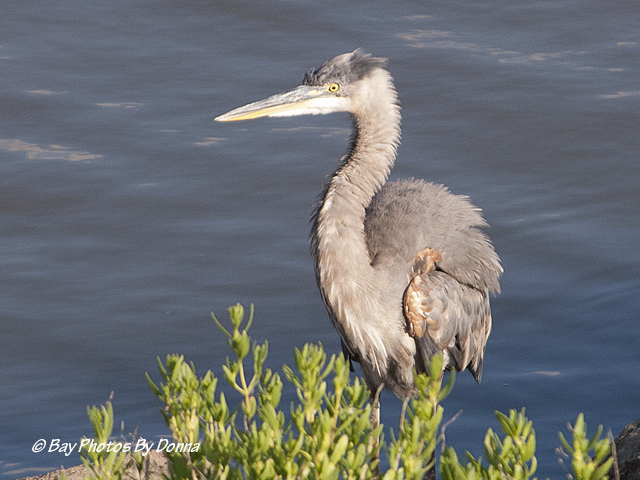 You are blessed with so many feathered friends!! Thanks for sharing. I know I really am, and I’m always thanking God for giving me such wonderful chances to capture them! My goodness what a great day!!!! It really was great David…..all was good when the sun went down! I didn’t just like this….I LOVED it!!!! Great shots as usual. I love your close up pictures because I collect “bird” feathers and now I know what I am getting. See how we all help each other!!! What a great collection of shots! So glad you’re sharing these with us, believe me. I could just sit and scan through these photos of yours for hours if I had hours. Thank you very much Snow Bird! 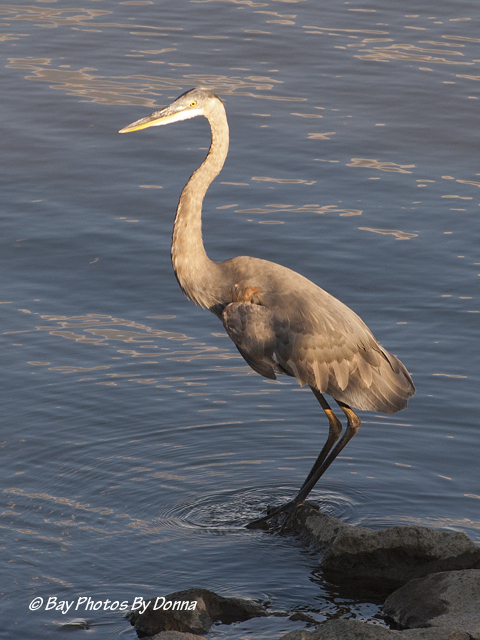 I could sit & watch & photograph birds and their behavior all day long, just wish someone would pay me to do it so I could! LOL 🙂 Birds really do put life in perspective, I am always in awe at their daily rituals and perseverance in surviving. Their ability to survive things is one of the things that has fascinated me all my life and has actually helped me understand the essence of the life force. There’s nothing like seeing a sparrow scratching through ice to get to a seed to wonder about tenacity, is there? Hope your day improved with something gorgeous to capture, you always have a keen eye! Your photos came out great! 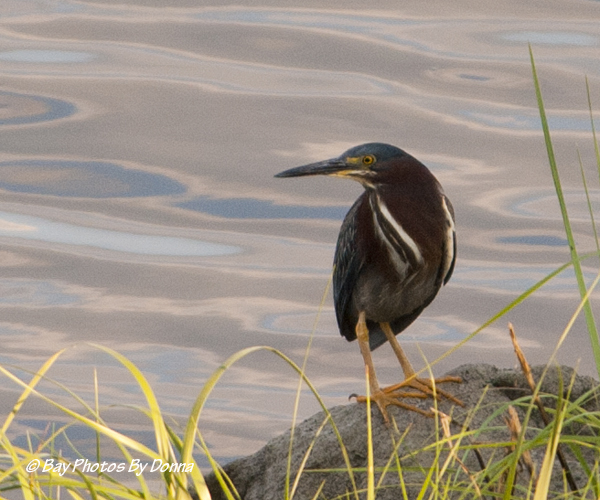 I’ve never seen a green heron personally. I don’t think they live here, but maybe they migrate through my area. 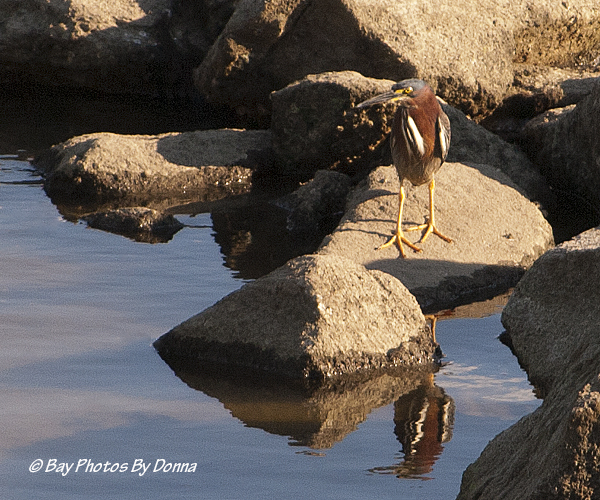 Is it hard to photograph because the green heron flies too low, or is it because the color isn’t enough contrast? 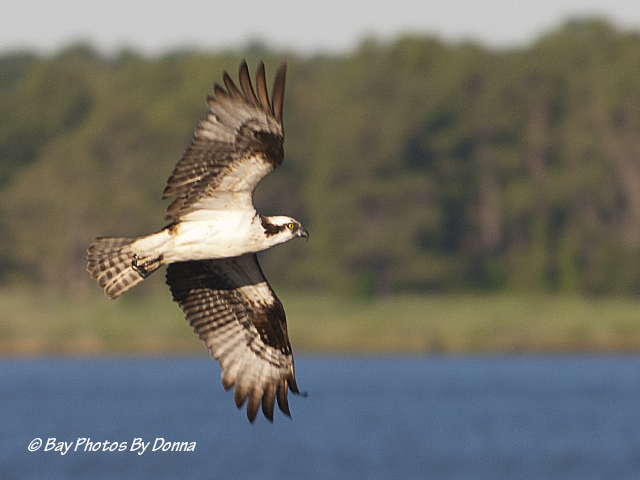 Just curious… You’ve got so many great photos of osprey and blue heron flying.